When Chaplin sang this song in Modern Times, he was internationally famous, but it was the very first time that the world had heard his voice, after two decades of silent pantomime. 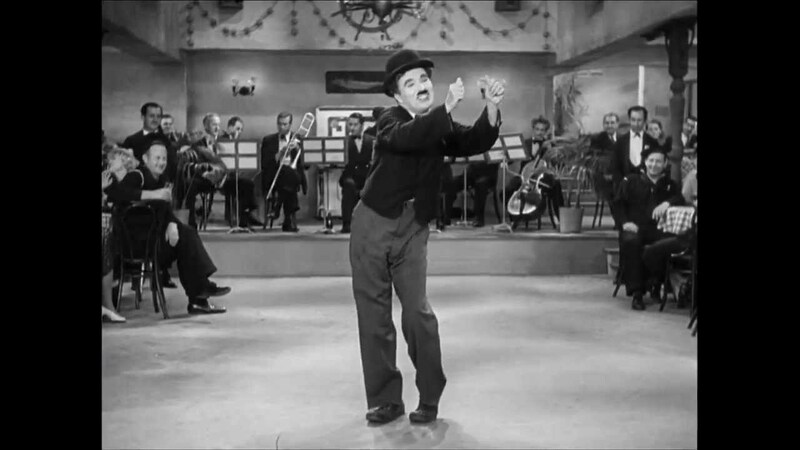 The opening instrumental sequence is very long because in the film, Charlie has written the words of the song on his shirt cuff, which flies across the restaurant as soon as he makes his grand entrance. He dances around desperately looking for it, but the customers start complaining about the delay, so he has to make up the words. This entry was posted on August 5, 2017 by Vox Populi in Art and Cinema, Humor and Satire, Music, Poetry and tagged Chaplin's voice, Charlie Chaplin, jabberwocky, Modern Times, nonsense verse, restaurant scene in Modern Times, Titine.